How is everyone doing today!?!?! I have to tell you that I am a bit better than I was, this time last week. I am still going through the healing process and still taking antibiotics, but overall I am doing a lot better. Today, I am sharing a project piece I made for SweetStamps. Although I loved the detail of the impression the way it way. I decided to take it one step further. In just the impressions I filled in this space with Glastique Finishing Glaze and added crystal gems to the centers of he flowers. I did not even attempt to speed up the drying process on this, since I did not want to ruin it by adding more heat. So be patient and let it dry over night!!! The results are well worth the wait!!! So this will be given as a gift to my little sister who loves handmade jewelry!!! 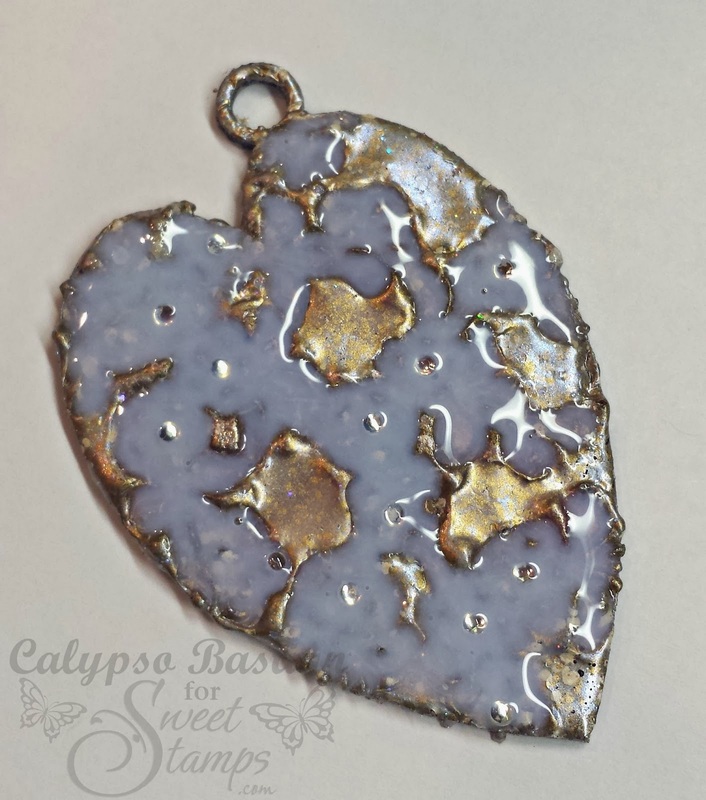 Calypso, this is a gorgeous piece. Your craftsmanship is fantastic…you've created such a lovely gem and included so many directions, thank you! Lovely, lovely pendant. Ps…love the added gems as a final touch! wow! this is beautiful!!!! so talented! thank you so much for the inspiration! Ohhh how awesome is this!!! Love the final look- and the gems add such a nice glimmer! Fabulous! Gorgeous!! 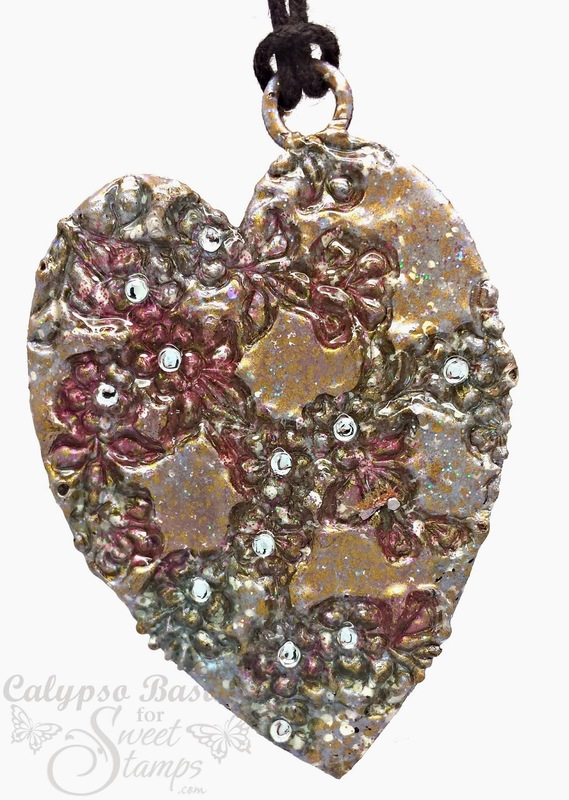 Love the colors of enamels you chose and the Apple Blossom image looks wonderful on this piece.